Twenty years since the release of their debut album Word Gets Around, Welsh rock legends Stereophonics were concrete in their rejection of focusing too much on former glories. With the release of their 10th studio LP Scream Above the Sounds, the Kelly Jones-led quartet have kept to their promise of new instrumental stylings, and the responses so far have found some people wishing they hadn’t. While an album lacking in melodic variety can lose the attention of listeners quick-fast, an album with too much of an assortment can simply confuse them. 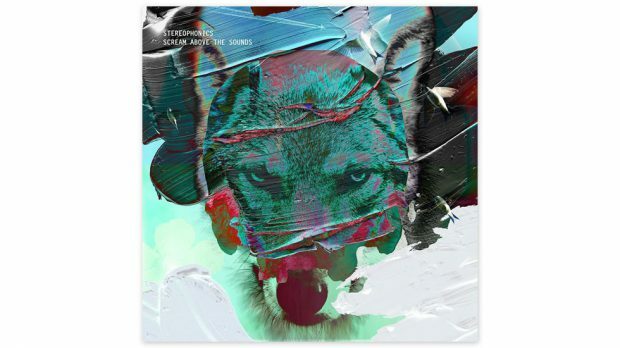 The unmatched, unequivocally Brit-rock sound of Stereophonics, which defined the auditory of their 20 year career of chart-royalty, is no longer a base ingredient so much as it is a simple seasoning. It is sprinkled over tracks like Crying in your Beer, Geronimo, and Chances Are in a multi-genre experiment of skittering rhythms, Motown horns and anomalous guitars solos. As regular tenants of the place known as the UK number one, some musical exploration should of course be granted to Stereophonics. However Scream Above the Sounds seems to lack the common instrumental semblance the band are famous for, and often criticised for, maintaining. Cohesion across tracks lost is somewhere between the melancholic synthesisers of Breaking Dawn and the feel-good lyrics and upbeat mandolins of Elevator. While the repetitive melody lines and the power chords the production combo of Jones and studio partner Jim Lowe have increasingly been a fallback over the years to the point of frustration for fans and critics alike, one cannot deny it moulded each album, from its ballads to its anthems, into a reflective, wise, and occasionally brooding character that simply made sense. That is not to say Scream Above the Sounds has disposed of it altogether. Boy on a Bike and Before Anyone Knew Our Name are lyrically stunning odes to the past. The latter is a particular highlight, a stripped back piano allowing the true heartbreak of Jones’ lyrics to shine through, remembering their late drummer Stuart Cable, and a time before four boys from The Cynon Valley found fame. “We build this thing from a dead end street/ And now I’m looking around for you to see/ I miss you man,” Jones sings. Additionally, Jones’ acute storytelling style lights up Scream Above the Sounds in a powerful reminder of what the boys do best, amplified by it’s first single, All In One Night. Chronologically relaying an hour by hour account of a man whose life takes a dramatic turn across the span of one night, the repeating wistful guitar riffs and the song’s ethereal chorus-line are a credit to the band’s songwriting dexterity. Ultimately, tracks such as Caught By the Wind and Drive a Thousand Miles team up together to hush the critics by showcasing the wonder that remains in Jones’ exceptional voice, an anchor to Stereophonics’ longevity that will last throughout any experimental ventures, or musical misgivings, they encounter.